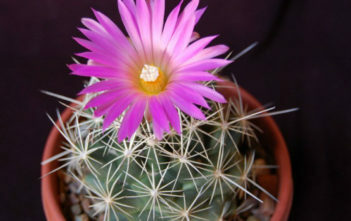 You are at:Home»Archive for "Coryphantha"
Coryphantha, commonly known as Beehive Cactus, is a genus of small to middle-sized, globose or columnar cacti. They are native to arid parts of Central America, Mexico, through Arizona, New Mexico and western Texas, and north into southwestern, central, and southeastern Montana. 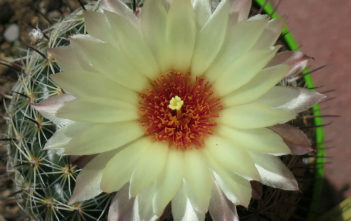 With its two subgenera, 57 species and 20 subspecies, it is one of the largest genera of Cactus family. The taxon name comes from Greek, meaning “flowering on the top”.